National rally for nurses taking place. It comes despite nine hours of talks at the Labour Court yesterday. The talks between the nursing unions and Government officials will resume this afternoon. Today's national rally is going ahead at the Garden of Remembrance, on Dublin's Parnell Square - after talks at the Labour Court yesterday failed to find a resolution to the dispute. 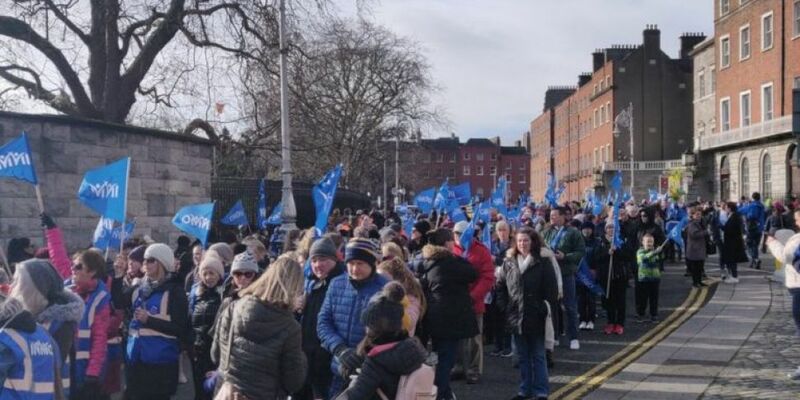 Further strike days have been announced for the 12th, 13th and 14th next week - while Psychiatric nurses have announced three days of strikes on February 19th, 20th and 21st. Nurses and midwives say the row is not just about money. They insist they are seeking to secure safe staffing levels in the health service, through increases in pay to make the profession more attractive.